This could be the high-performance Levante GTS or the plug-in hybrid model. 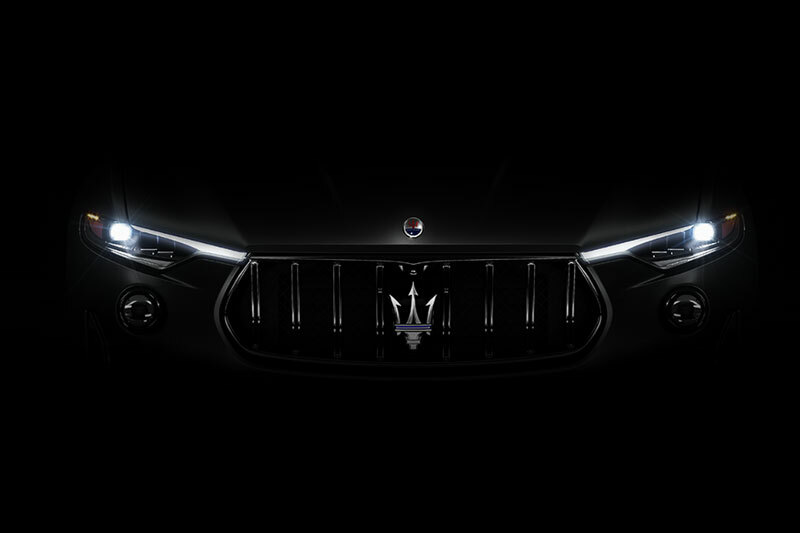 A new teaser from Maserati suggests that the Levante GTS could finally debut very soon at the New York Auto Show. The model would add a performance-oriented trim to the SUVs lineup that might add a little excitement to get buyers interested in the currently slow-selling vehicle. The Levante GTS reportedly uses the 3.8-liter biturbo V8 from the Quattroporte GTS. It produces 523 horsepower (390 kilowatts) and 524 pound-feet (710 Newton-meters) of torque in the sedan and could push the output closer to 570 hp (425 kW) in the SUV. A revised suspension would sharpen the model’s handling, and bigger brakes help with slowing down. The Levante GTS gives FCA one more option to offer SUV buyers who are craving power. The least powerful of the bunch is theDodge Durango SRTwith 475 hp (354 kW); theAlfa Romeo Stelvio Quadrifoglioups the ante with 505 hp (377 kW); and theJeep Grand Cherokee Trackhawkcurrently stands at the top of the heap with 707 hp (527 kW). The Levante’s exterior would feature a more aggressive front bumper with larger intakes and possibly vents in the hood. There would also be a different rear spoiler than the existing model. Spy shots suggest a small diffuser at the tail, too. If this isn’t the GTS, then it’s possible that Maserati could debut the rumored plug-in hybrid version of the SUV in the Big Apple. This model would borrow tech from theChrysler Pacifica Hybridminivan for a boost in efficiency. Either model could help boost the dismal interest in the Levante. Maserati has slowed or even halted the SUV’s production multiple times to match the supply to the low demand.